"The Word on the Street is one of the best books ever written on language and pub- lic affairs. John McWhorter shows us how English is, was, and will be spoken, and spells out the implications for how it ought to be used and taught. His arguments are sharply reasoned, refreshingly honest, thoroughly original, and — befitting a book on language — are lucidly and elegantly written. The Word on the Street is important, eye-opening, and a pleasure to read." I then contacted John McWhorter who had other things on his mind. He proposed that instead of talking to him about the ideas in his book, that I publish a rather lengthy essay he had recently written on the subject of affirmative action at Berkeley. Herewith, the essay, "The Demise of Affirmative Action at UC Berkeley: Dissecting the Stalemate." It is passionate, courageous, bound to stir controversy, and, hopefully, to "advance the dialogue." 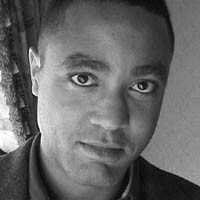 JOHN H. MCWHORTER is Assistant Professor of Linguistics at the University of California at Berkeley. Born in Philadelphia, he earned a master's degree in American Studies at NYU and received his Ph.D. in linguistics from Stanford University in 1993. He taught at Cornell University before entering his current position at Berkeley. He specializes in pidgin and creole languages, particularly of the Caribbean, and is the author of Toward a New Model of Creole Genesis. One of the few accessible linguists, he has been interviewed widely by the media, including The Today Show, Dateline NBC, National Public Radio, The New York Times, and Newsweek. He also teaches black musical theater history at Berkeley and is currently writing a musical biography of Adam Clayton Powell, Jr.